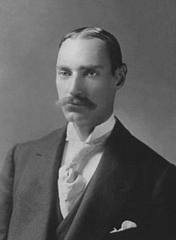 Two months ago, while I was sitting in my virtual front row seat watching the opening ceremony of the 2012 Olympic Games on my HDTV, it occurred to me that I have a better quality of life than John Jacob Astor IV. True, I don't have a summer "cottage" in Newport, Rhode Island. Nor am I likely to travel first class anywhere, anytime. But in every other respect, compared to him, I live like a billionaire. I am vaccinated against multiple horrific diseases, (polio vaccine 1952) and have access to antibiotics (penicillin, commercially available in 1945) if I get an infection, and insulin (discovered in 1922,) if I get diabetes. I own or have access to a dozen other wonderful technical wonders that help make my life pleasant, safe, longer, and entertaining. I am very rich indeed.